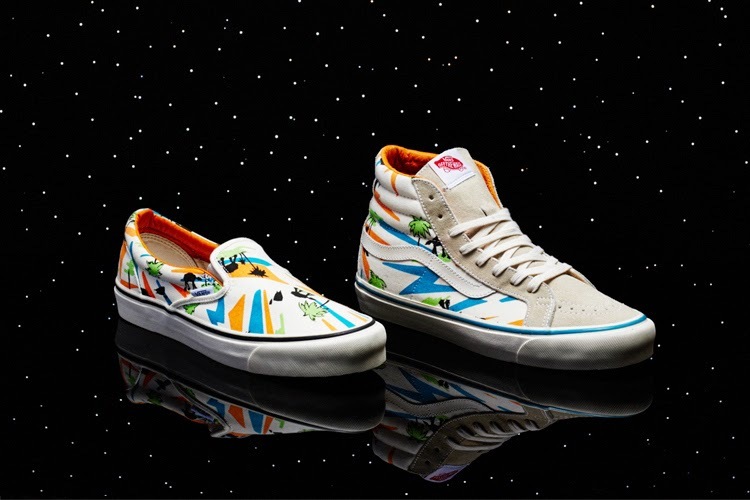 For its latest collaborative endeavor, Vans Vault joins forces with the Star Wars franchise to release a six sneaker collection combining silhouettes from the Vans archives with character imagery from Star Wars. First off, the OG Classic Slip-On LX and OG Sk8-Hi LX models feature elements from the vibrant culture of Miami with All Terrain Armored Transport (AT-AT) Walkers stalking each sneaker. 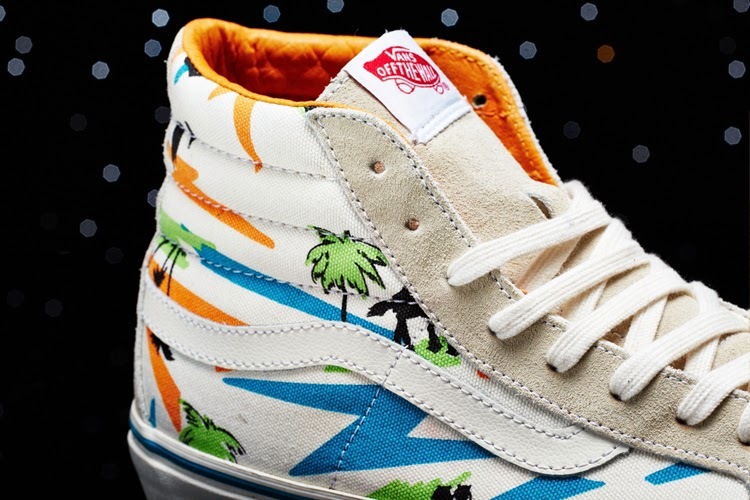 Furthermore, a pirate-inspired Darth Storm print in red and black adorns both a pair of OG Era LXs and OG Sk8-Hi LXs. 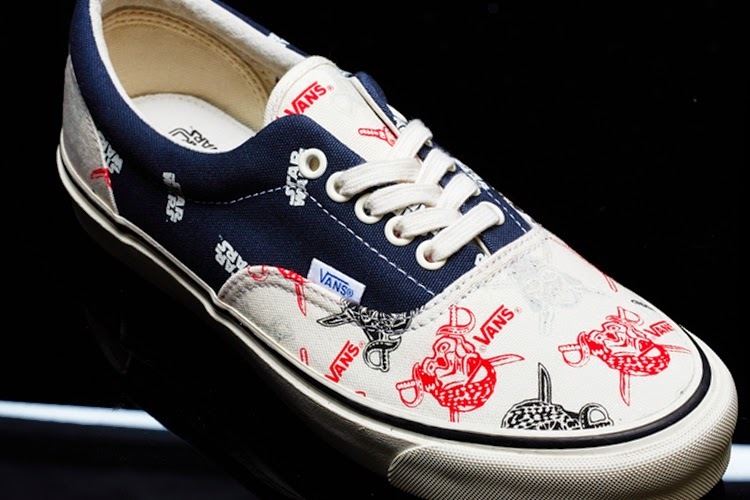 Lastly, a turtledove grey Yoda and all black Darth Vader OG Half Cab LX with images of each Jedi complete the collection. 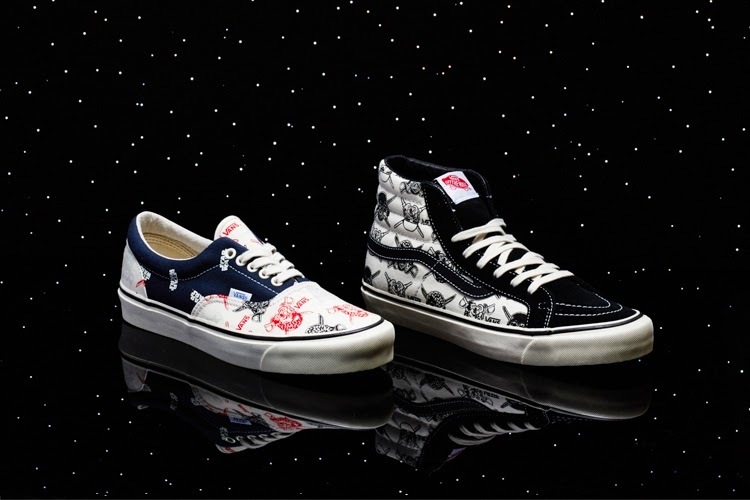 With less than 300 pairs produced, the Star Wars by Vans collection will be available this weekend at select stockists including DQM.